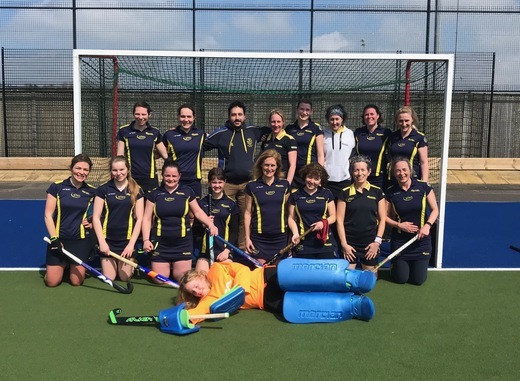 The Ladies 5th team had a very satisfying season in Wessex Division 2 in 2017/2018. We were successful in developing some really strong team play. In 2018/2019 we're focusing on shooting as soon as we can and prioritising 'happy hockey': which means striving to play our best team game; helping individual's develop fitness and skills; and having fun as a team. We also have an ambition to get a team photo where we all are looking in the same direction! This may be a step too far. We have a backbone of regular players of all ages; some with decades of experience, some coming 'back to hockey' after a long gap and some in their first season of senior hockey - with everyone in between. We also welcome casual players who aren't available for every match and those who just fancy training with a team but don't want to commit a match.